March was a busy month with just getting back from our Hawaii vacation and finally getting ready for some Spring weather in Temecula. 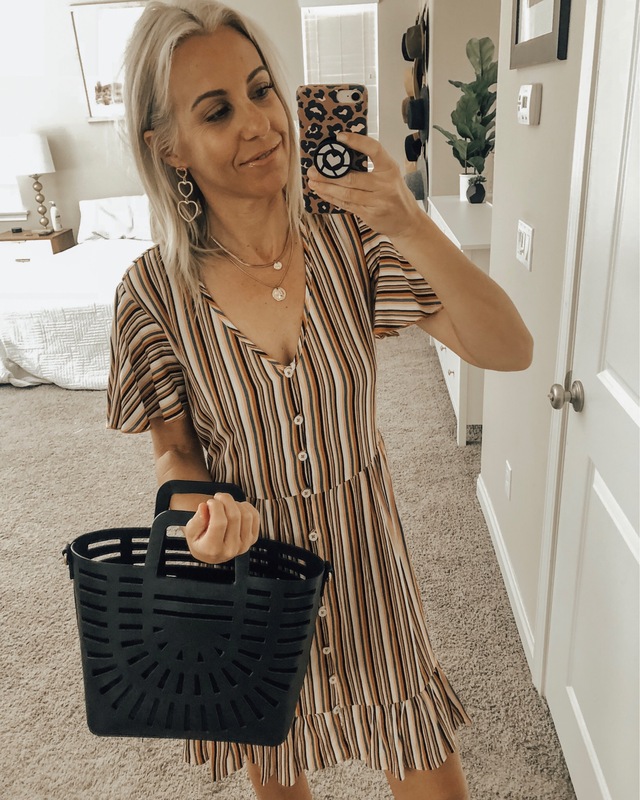 This month's top selling items were filled with killer Amazon and Target Finds as well as a couple of my tried and true closet staples. 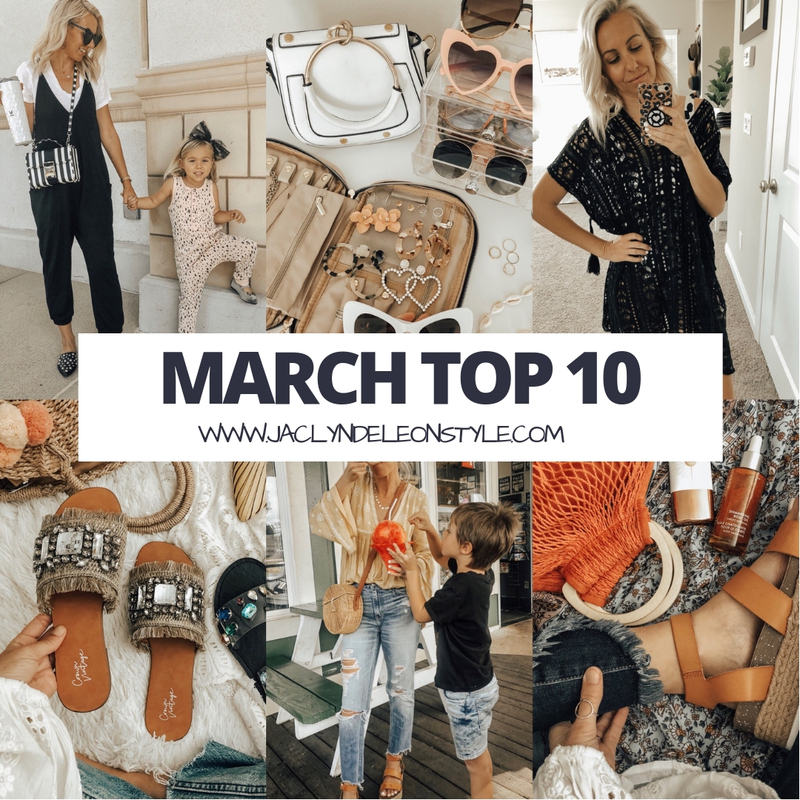 Here you have it- my March top 10! 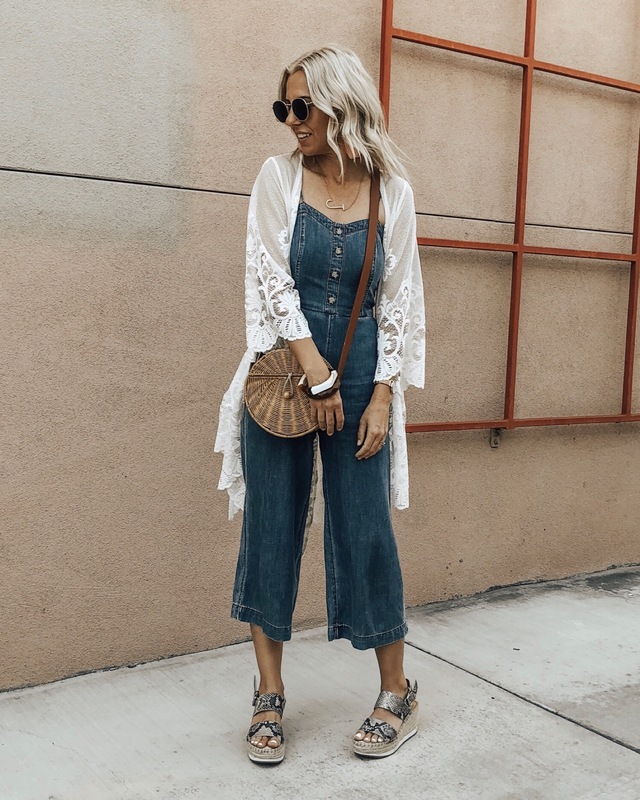 I picked up this chambray jumpsuit from Abercrombie last year and was excited to see that it's back this season and currently on SALE. It comes in petite, regular and tall lengths so I got the petite size so it had more of a cropped length. Since it's denim you can pretty much wear anything with it. Here I paired it with the cutest lace kimono which you can grab HERE. I've been working on updating several spaces in my home and my entry way was one of them. 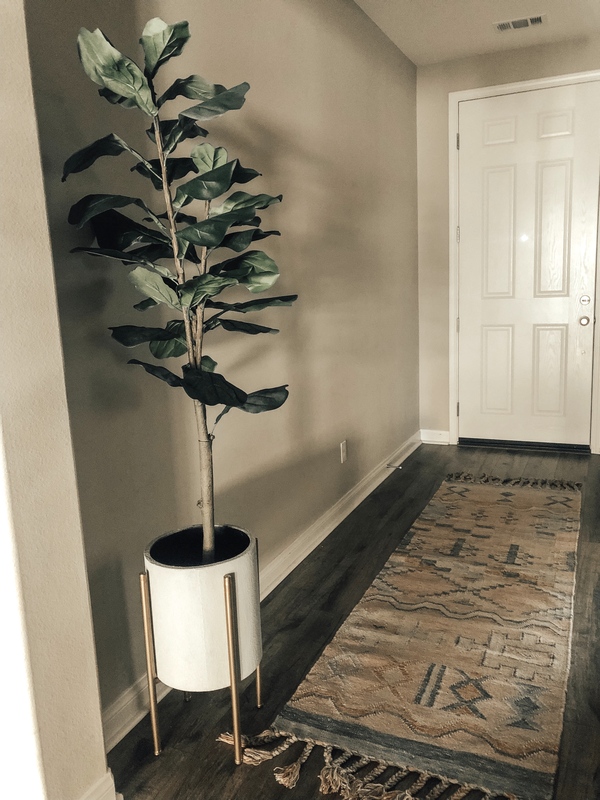 I added this faux fiddle leaf tree and was truly impressed with the quality for the price. I put it in THIS cute pot which really adds some character. If you can't keep any real plants alive and are on the look out for a great faux plant then this one is for you! You can also shop my new entry rug HERE. As you probably already know I absolutely love sunglasses! Not only are they a must to protect your eyes from the sun but they add a level of coolness to any outfit. I love all different styles from retro and cat eye to classic Ray ban style. 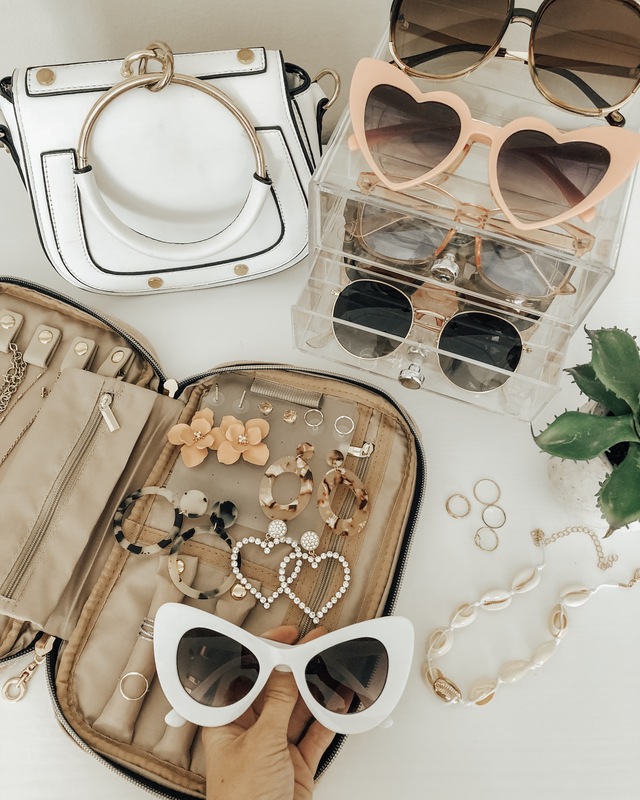 I use this organizer on my dresser to keep my sunglasses organized and love how it looks stylish too. If you have a ton of glasses they are actually stackable so you can add another one right on top! I can't get over these gorgeous embellished sandals and am so happy you love them as much as I do. 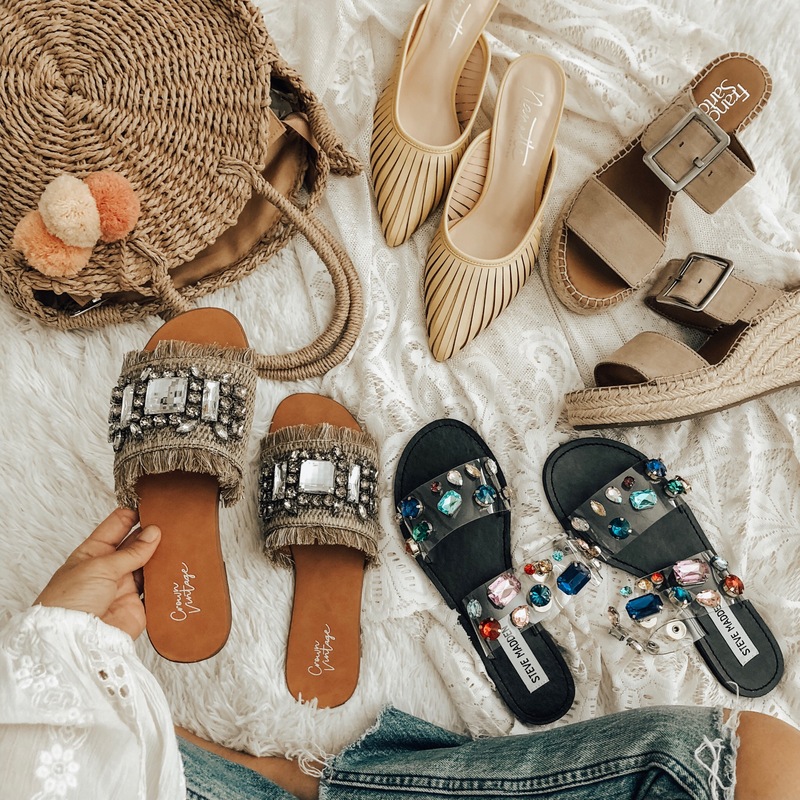 If you caught my DSW try-on on stories I went shopping with Blondie and she originally picked out THESE embellished espadrilles which were definitely cute but then when I went home to link them I found they also came in slip on sandals and I fell in LOVE! Can't wait to wear them everywhere! Target has so many cute Spring dresses right now and this one immediately stood out to me. Of course you know I love me some stripes but I also love the ruffle on the hem and the sleeves. It's under $25 and there's also the same striped print in a jumpsuit which you can get HERE. I pretty much live in high-rise mom jeans and these are definitely my favorite pair! It's the perfect medium wash with just the right amount of distressing. 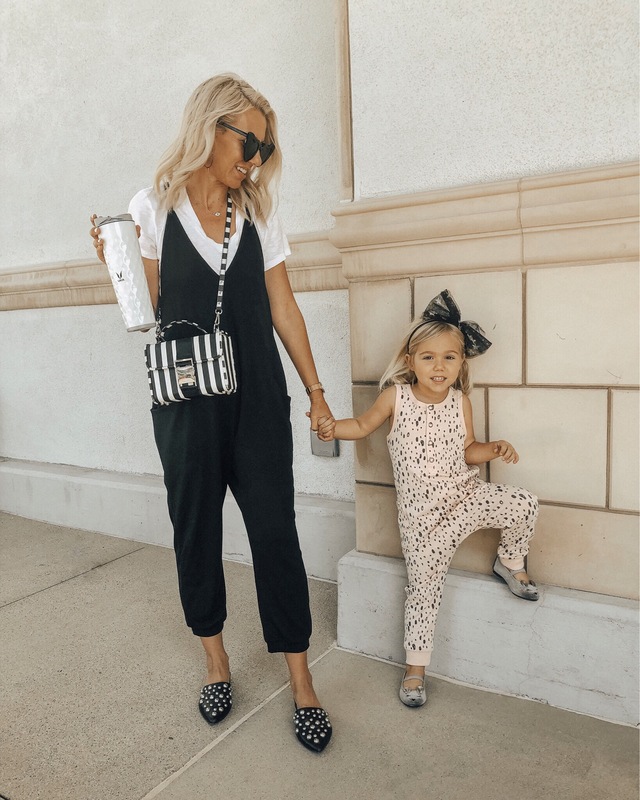 They are so easy to dress up with a cute top and heels or wear running around with the kids in sandals and a basic white tee. Check out my other favorite mom jean HERE. I have found so many good swimsuits and cover ups on Amazon and this was by far the favorite. I love crochet as a swim cover up and this one comes in several colors and is under $20 with free shipping & returns. I think I might need to get the ivory color next! 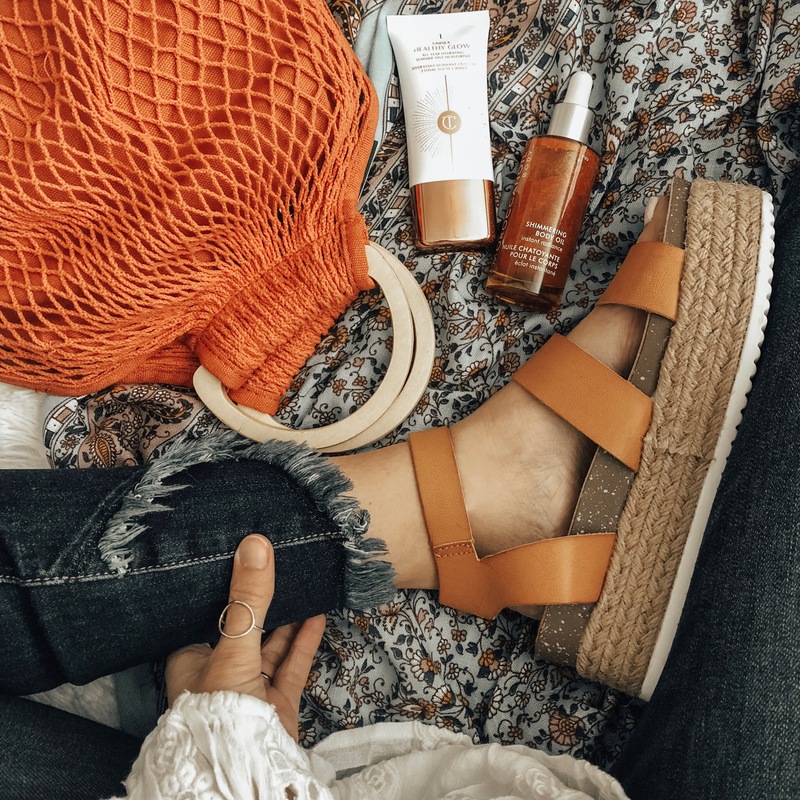 As you probably already know these are the BEST espadrilles every!! I got them last Summer and was so excited to see them come back this season. They are extremely comfortable and light weight and look cute with absolutely everything. Don't believe me- Check the 5 star reviews! I always had issues with taking my jewelry traveling because everything would get tangled. I tried tons of different travel cases and I always had the same issue. 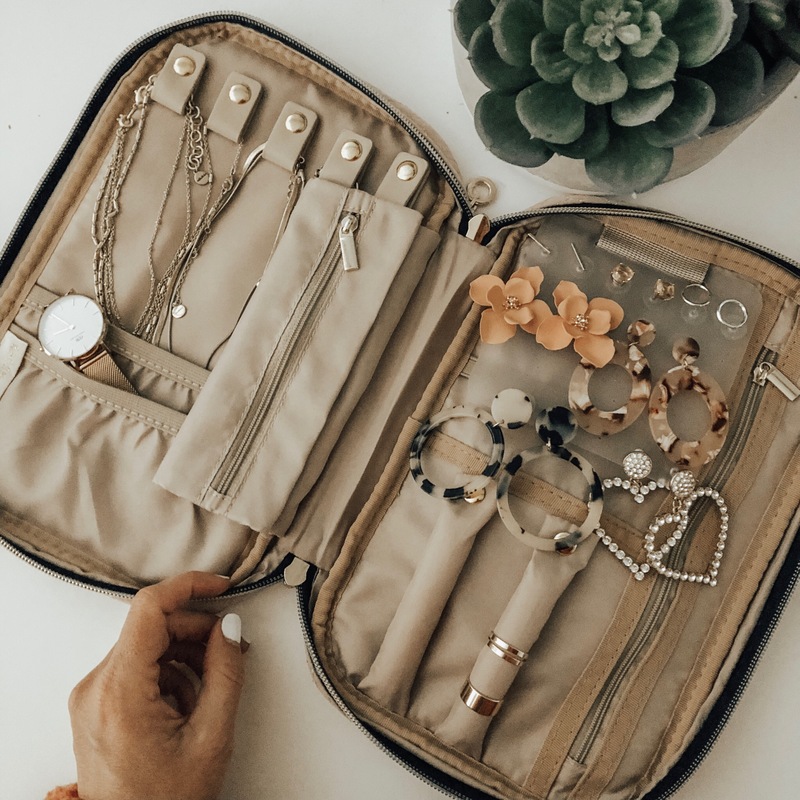 When I came across this travel case and saw the separate necklace organizer I had to have it. It's GENIUS! By separating each necklace they don't get tangled together. I also love that you can clip your earrings on and there's a spot for your rings, and a zipper for bracelets. Seriously the best travel case. I also found a similar smaller version HERE. This jumpsuit was one of my most shopped items last year and when it came back in stock you all went crazy for it. And definitely for good reason! It's not only cute but seriously the coziest thing ever! Good thing there is still all sizes available. It also comes in an olive green as well which is just as cute. You can shop it HERE. Well that's it! 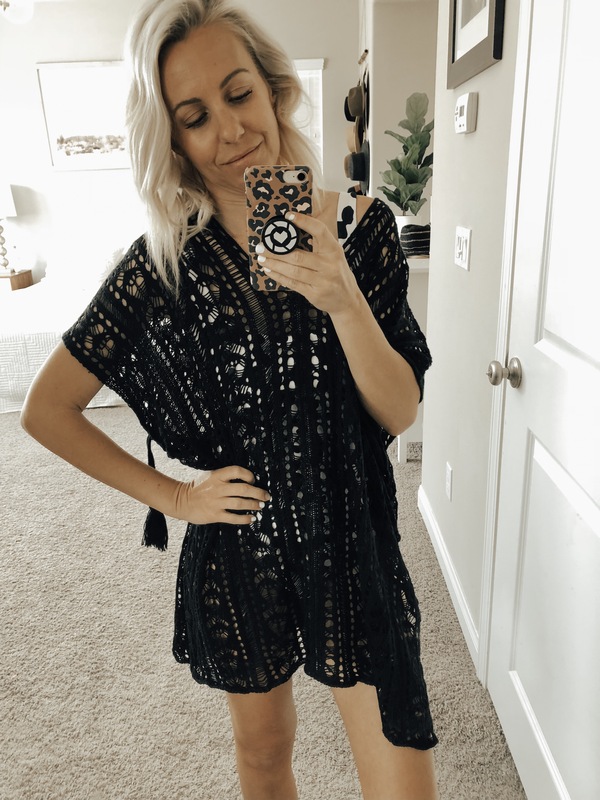 My top selling items from March were definitely tons of my closet must-haves as well as a couple new favorites. Which was your favorite?? And thanks again for stopping by! !